One of the big attractions near Cape Town are the colonies of African Penguins. They are charming little birds, shuffling around like their ankles have been tied together, with wings clutched firmly at their sides. They make a loud noise not unlike a braying donkey hence their alternative name, ‘Jackass Penguins’, though in my opinion this may also have been earned due to their unusual walking style! They are the only species of penguin to breed in Africa, mostly on islands, however there are three colonies on the mainland: one in Nambia, with the other two at Stony Point and Boulder’s Bay, within 90 minutes of Cape Town. Most people who have visited Cape Town have probably heard of Boulders Beach. It is on the classic drive around the Cape Peninsula that takes in Simon’s Town, Chapman’s Peak, Muizenberg and the Cape of Good Hope. Stony Point is less well-known. This is probably due to its distance from Cape Town. But don’t write this underdog off, it doesn’t grab so many headlines, but it has alot to offer! 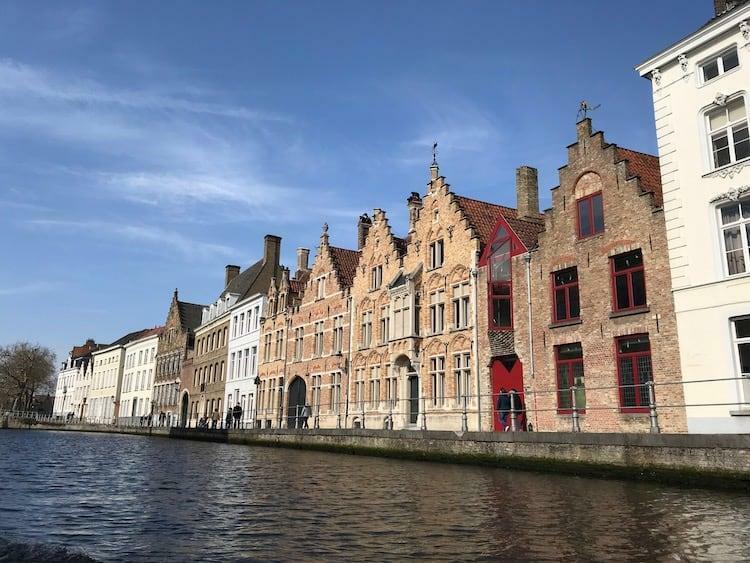 We have been lucky enough to go to both of these places on more than one occasion, so I thought I’d put together a comparison across 6 categories to make it easy for you to choose. 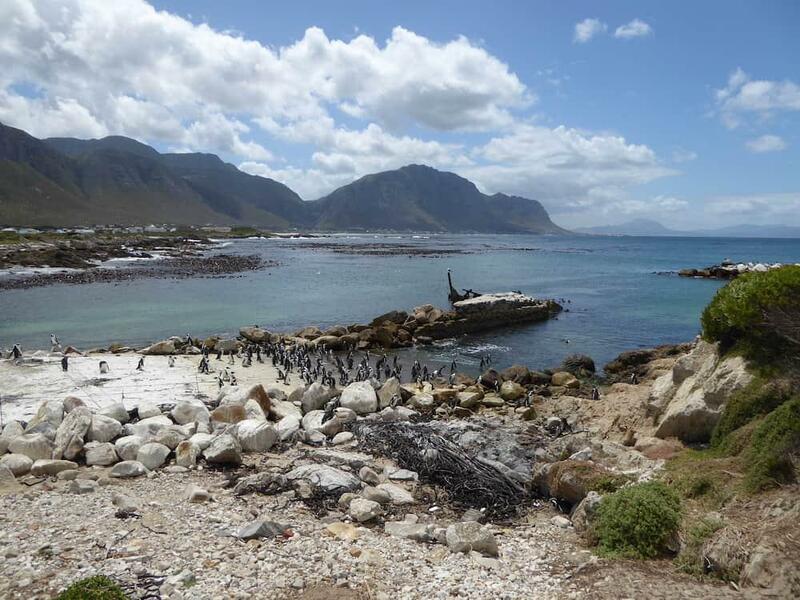 When you look at location it’s clear why Boulders Beach has become the most popular penguin colony in the Cape. It is only 47km from Cape Town whereas Stony Point is almost double that at 90km. 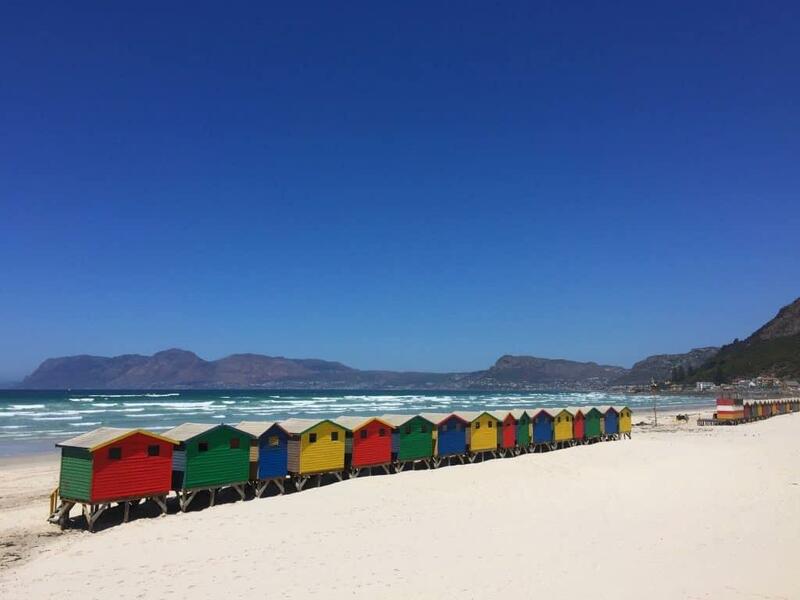 Take another popular local stop off such as Stellenbosch though and the choice is less clear: 59km to Boulders Beach and 66km to Stony Point. 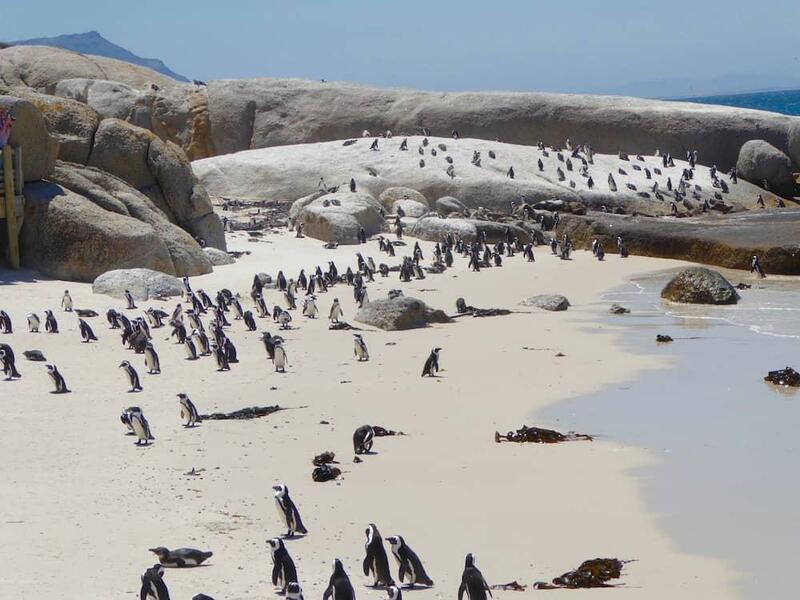 This article is about Cape Town penguins though so the clear winner is Boulders Beach. Cost of entry is never something that has really bothered me too much when coming to places like this. As long as the money is going to secure the site future generations then I’m ok with paying a reasonable amount. 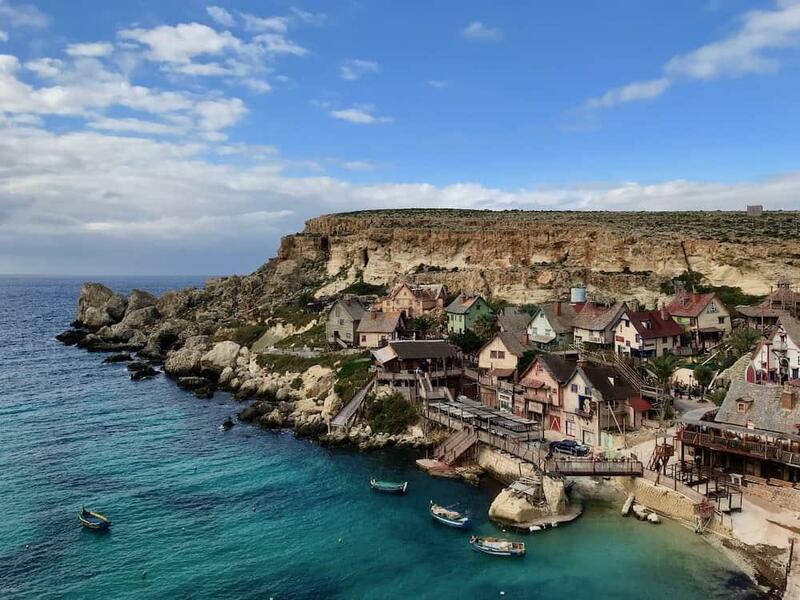 However there is a real disparity between the cost of entry at Boulders Bay and Stony point that is worth considering when making your choice. Whilst both of these are very low compared to what we would pay in England you can see there is a big difference in price. At 73% lower Stony Point is the clear winner here. 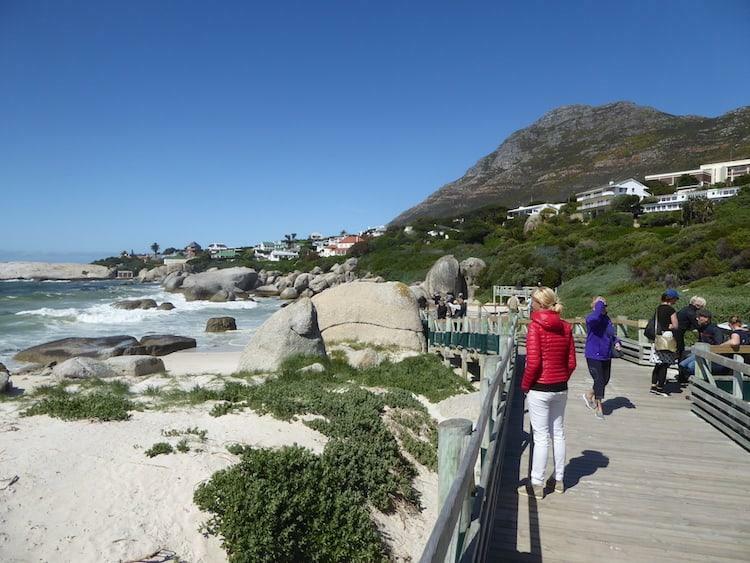 There’s no doubt about it, Boulders Beach is a major tourist draw. Its accessibility means that even in the off-season in brings in alot of visitors. Stony Point on the other hand has the feel of an undiscovered gem. If you want to enjoy your nature viewing in peace and not have to queue or fight elbows for the best photo shots then this is your place. If you’re pushed for time, you will need to combine multiple destinations on a day out to make the most of your time in Cape Town. This makes the proximity to other attractions really important when deciding which one of the penguin colonies to visit. Stony Point has the beautiful Harold Porter Botanical Garden nearby and, at the right time of year, the coastline is the perfect place to view whales, centred around the town of Hermanus. Compared to Boulders Beach though, it just doesn’t stack up as well on the local attractions front. When confronted by such wonderful little creatures as these, I have a natural urge to learn as much about them as possible. Both of the sites offer information boards on the walkways to help you learn as much about them as you can. 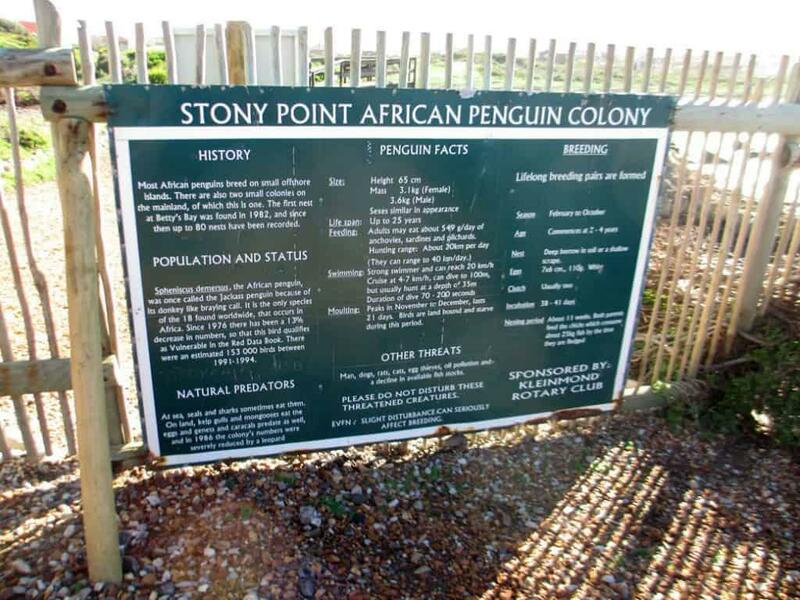 Stony Point does alot more though, will a fully decked out education centre giving the history of the old whaling station that the penguins have now occupied and loads of information about penguins around the world. 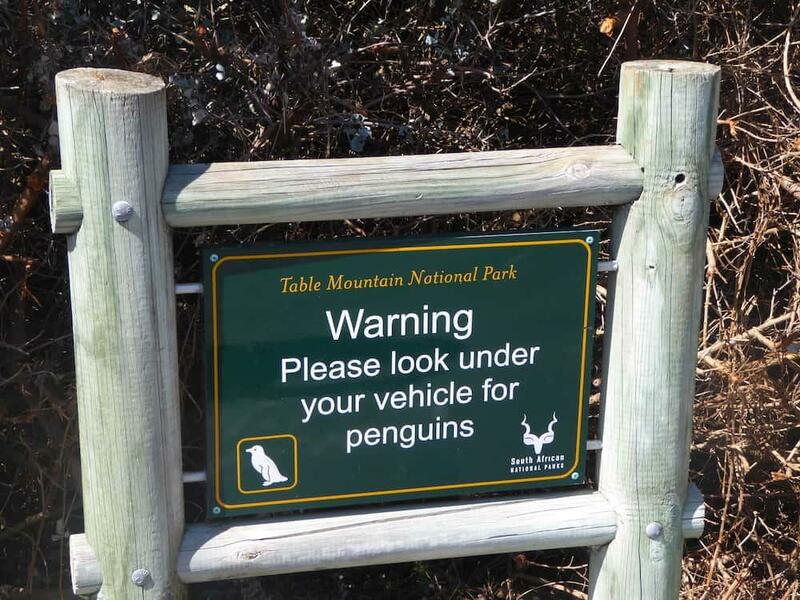 It is a great addition to the obvious attraction of the penguins themselves. 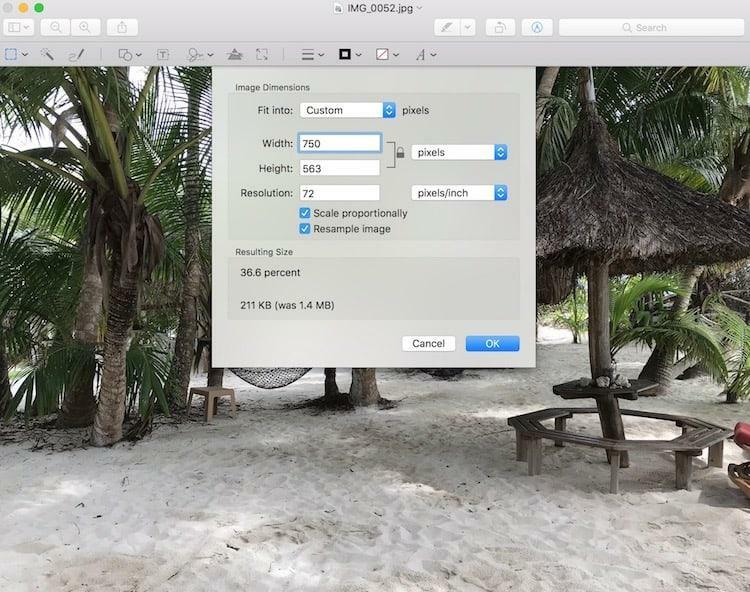 We’ve all got an Instagram reputation to keep up, so which of these two colonies is best for photos? For me it was a straight neck and neck here. 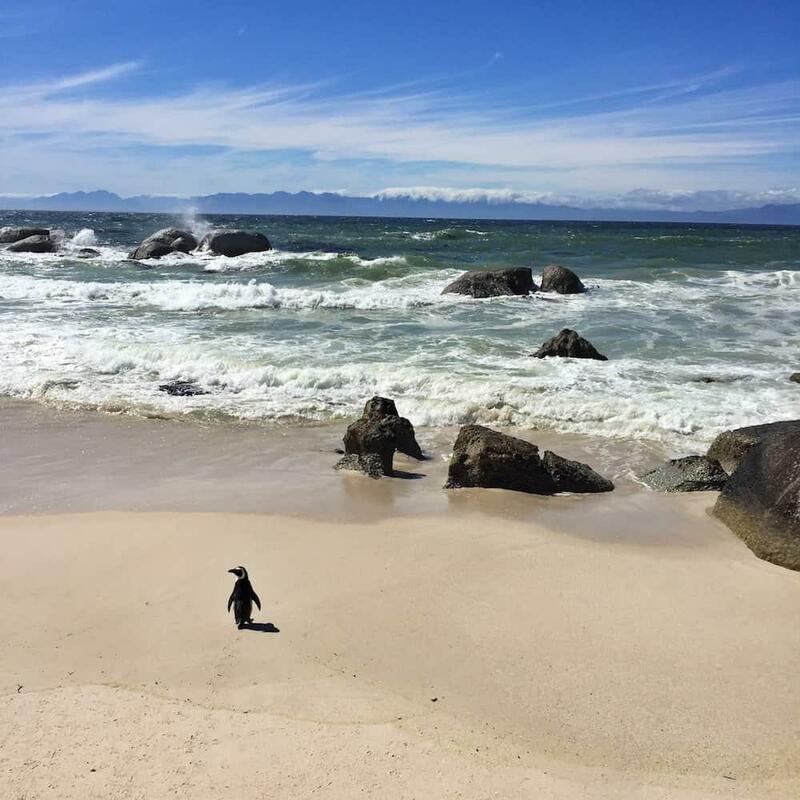 At Boulders Beach you’ve got the white sand and fantastic backdrop of False Bay. At Stony Point you have the rugged coastline and look out over Betty’s Bay. READ NEXT Best Places, Food and Experiences in Southeast Asia - RANKED! 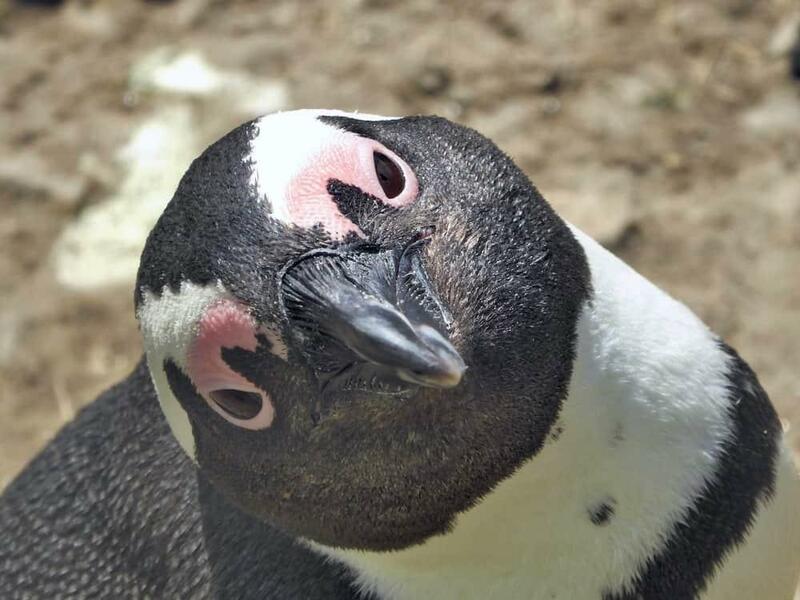 Whilst I have given you some help with which of the two penguin colonies near Cape Town to visit, which one you choose is going to be dependant on the factors that are important to you. If it’s location and time then Boulders Beach will be the obvious choice. If you’re making your way down the Garden Route then Stony Point is going to be an easier stop off. If you have lots of people to pay for and cost is a big factor, then Stony Point will be a better decision. The reality is you’re not going to be disappointed either way. 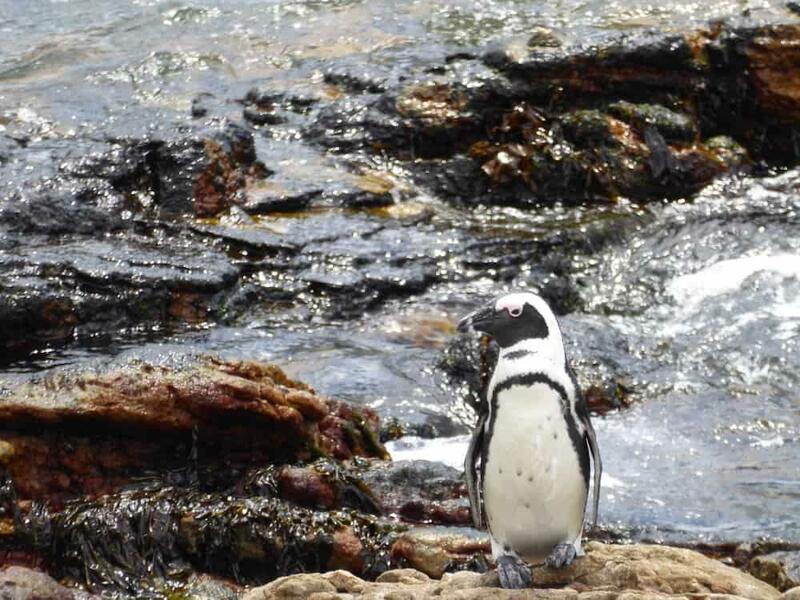 If this is your first time visiting the incredible and unique African penguins then you’re in for a real treat. We were smitten from our very first visit and have been back to the two colonies five times now! There are very few places where you can see penguins in a natural environment like this, and most of them are in very difficult locations to access. To have two amazing options so close to an accessible destination like Cape Town is unbelievable, so make the most of it whilst you can. And my favourite? Well if I had to pick I’d say Stony Bay. Yes it’s a bit more awkward to get to, but it when you get there it felt like a more natural and authentic experience that Boulders Beach. Whichever one you choose, take your time to sit and watch this beautiful creature and make the very most of this truly unique experience.